#littlelitbookseries is all about poetry this month. 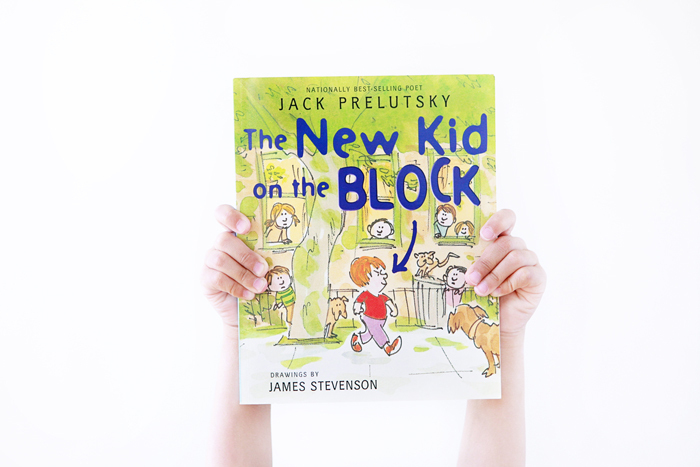 The New Kid on the Block belongs to a five-part anthology of poetry by Jack Prelutsky, the nation's first Children's Poet Laureate, and is illustrated by James Stevenson. It is filled with Jack Prelutsky's ingenious wordplay, outlandish ideas and hilarious characters. The beauty of poetry is that it is full of rich language and rare words that are so important for kid to learn, but are delivered in engaging ways that resonate with them. And we know that what kids enjoy tends to stay with them. Everyone needs at least one Jack Prelutsky book in their library for rainy days (and sunny ones!). For a thoughtful collection of poetry, check out #littlelitbookseries on Instagram.